New from trusted brand Hoggs of Fife, the Bryony Ladies cotton shirt is made from 100% lightly brushed cotton and is designed to co-ordinate with the Albany Ladies Tweed. 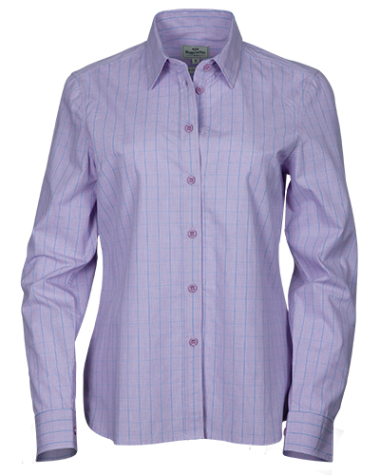 This is an exclusive Hoggs of Fife design in a beautiful lilac colour created from the pink and blue micro check. Long sleeves make this an ideal shirt for Autumn/Winter 2017. Semi fitted with a sculpted hem which means it can be worn tucked in or out. Lovely co-ordinating lilac buttons.